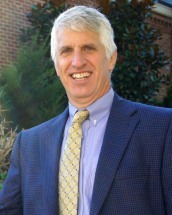 Jeffrey W. Rufolo grew up in New Jersey and originally came to Chattanooga in 1983 to attend the University of Tennessee at Chattanooga on a wrestling scholarship. He liked the area so much he decided to stay. Since joining Summers, Rufolo & Rodgers, Mr. Rufolo has successfully represented those who have been injured on the job, or injured in car accidents, fall down cases, or other premises liability type cases due to the negligence of others. Recently, Mr. Rufolo successfully overturned an unfavorable decision from the trial court in a wrongful death lawsuit brought against Hamilton County, Tennessee, in which a young man was brutally murdered. Obtaining a favorable decision for the family of the deceased in this case, Brown v. Hamilton County, 126 S.W.3d 43 2003 (Tenn. Ct. App. 2003), was described by one Tennessee legal magazine as similar to a "miracle." Mr. Rufolo is married to Laura Beth, who is also an attorney. Together they have one daughter. He is an active member of his church, in the community, and serves as a high school wrestling referee, youth soccer coach, on the alumni counsel of the University of Tennessee at Chattanooga, and is vice president of the Chattanooga Takedown Club.